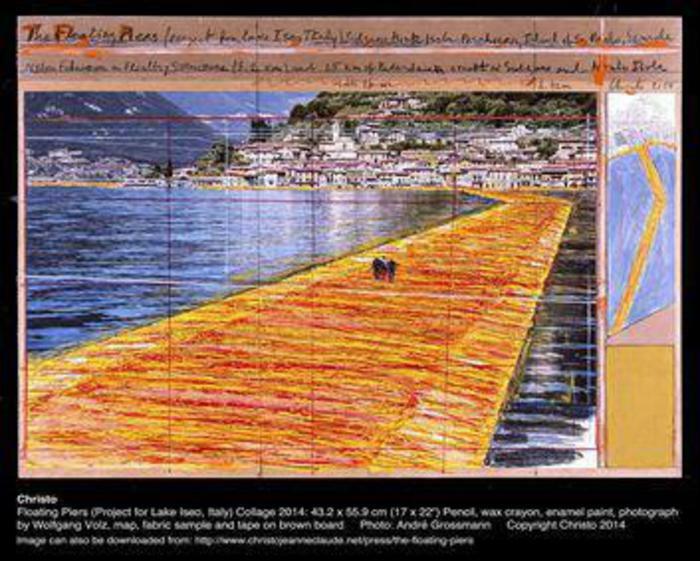 This comes from a press release by ANSA, the Italian Press Agency, and the title is quite catching; in English it would be “walking on the Iseo lake with Christ”, as this is a project for a temporary structure on the aforementioned lake, in Northern Italy, which springs from the mind of Christo Vladimirov, aka Christo, and Jeanne- Claude, two plastic artists that have done things as wrapping the Reichstag. As always, an interesting work of art. 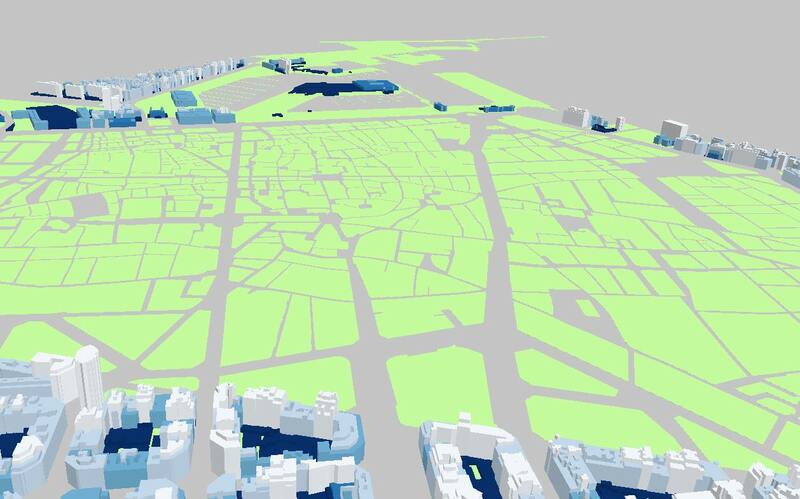 Design Density is a research laboratory at the Design Department of the Milano Polytechnic. The Link Magazine, published by Mediaset, called them to do a work for their tenth issue in which they were to visualize a series of datasets concerning how Italians see TV. From the first season of Big Brother and its followers by region (quite related to the places contenders came from) to other issues as the time “compass roses” of audience by chain. All this can be seen in a Flickr group. 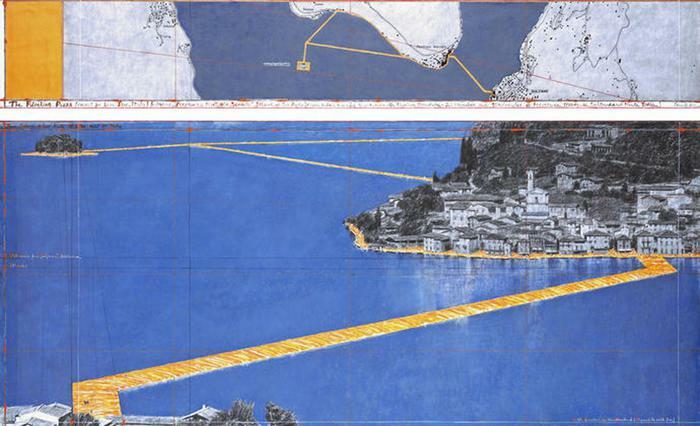 Richard Edes Harrison’s story is interesting: how a designer became a cartographer not because of specific map-making skills, but rather through his ability to convey a complex information to common people. 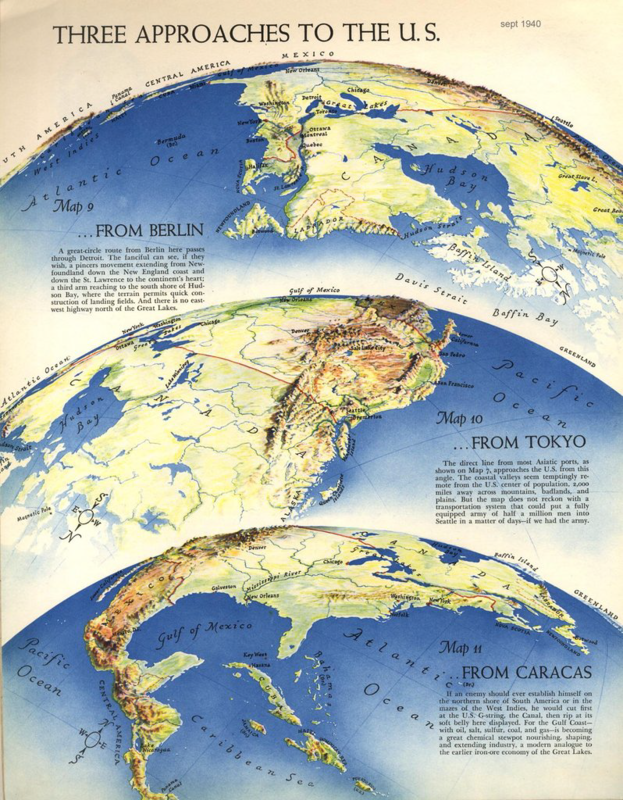 In a moment (WWII) in which aviation was the technology that transformed the perception of distances, his maps introduced to the US public projections and perspectives that, by going ahead of the traditional Mercator projection, allowed people to better understand the events as they unfolded. Here is a map by Mason Inman that is far from clear at first sight, but which is appealing from an aesthetic point of view. When you zoom in things become clearer: extracting oil can happen through horizontal pipes, so these are the most visible elements in the map. Each well has data associated. The way the land is exploited is surprising, it almost seems an agrarian structure. As this moment of the year has come, the place in which I live has gained a festive momentum, in which presents are exchanged. I could not possibly give what I don’t own, but I can share with those that like me enjoy maps a link to an extraordinary resource: the History of Cartography edited by the University of Chicago, which encompasses examples from prehistoric times to the European Renaissance. The volumes are not limited to the “western” world, as they include examples from other cultures. The website allows downloads by volume and chapter. Happy reading! 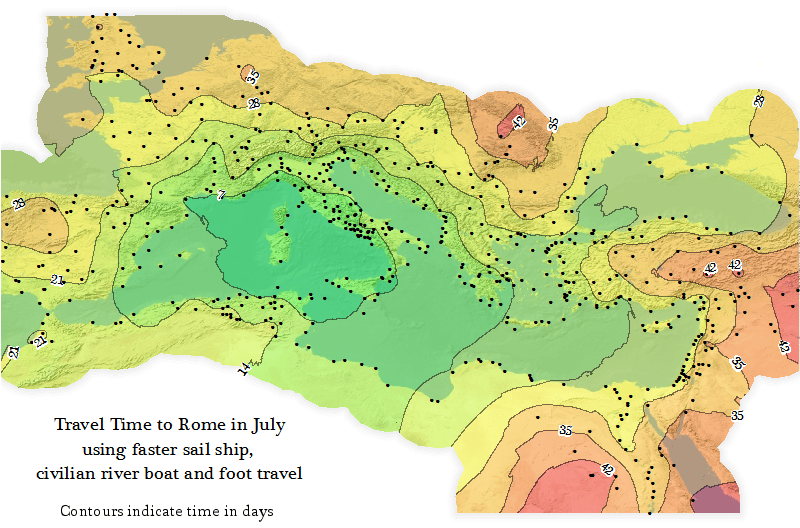 Stanford Universtiy has developed a geospatial model of the Roman world, Orbis, which can be consulted as a web map. 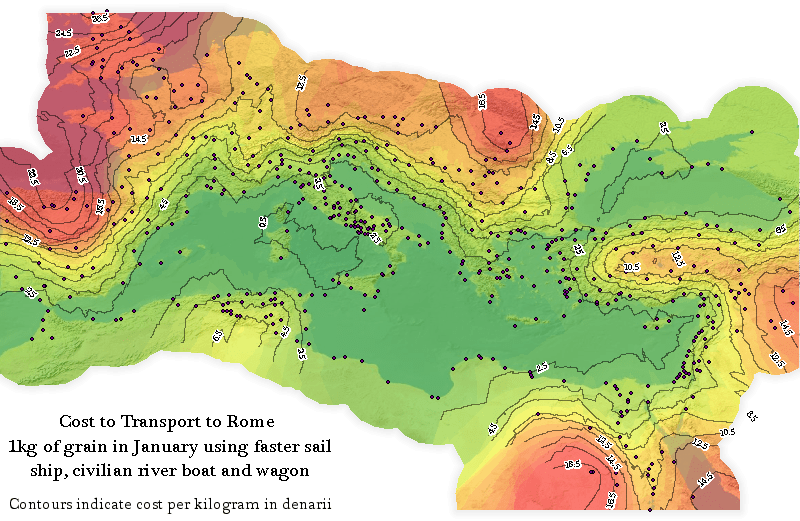 In technical terms it is a geographical information system in which you can consult, using current standards of transportation planning, the least costly, the shortest or the fastest route between two points of the empire taking into account what was available in those ancient times. 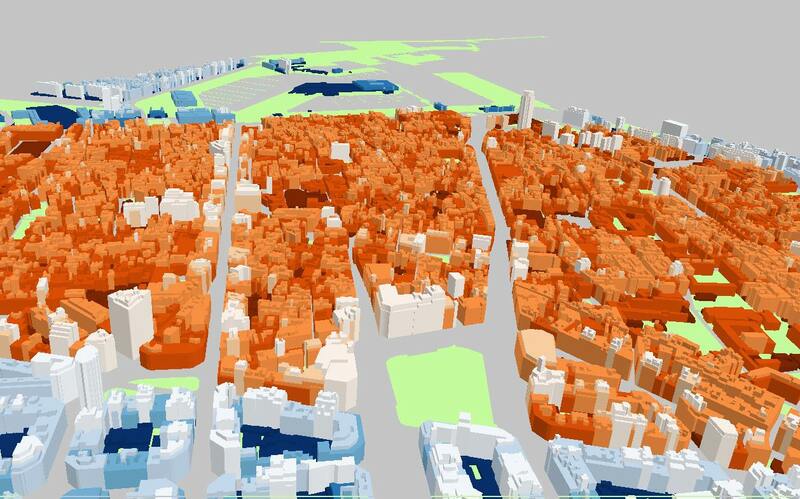 The methodological explanation of the GIS is interesting. I can not judge to which extent the results are close to what was real, but at least they seem consistent.